I am back from my break and have the two new DS polishes from OPI to share, but first I am going to subject you to vacation pictures. Once again, I was at my mountain home away from home in northern Idaho. 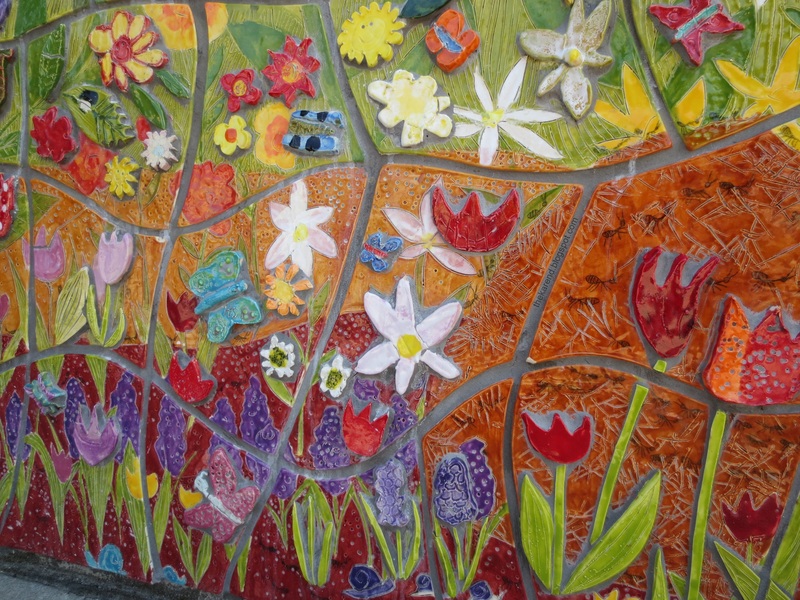 In town, I came across a fun ceramic mural that wasn't there the last time I passed that spot; it's a collaboration between artist Lynn Guier and 3rd and 4th grade students. I bet someone like Maria could make some great nail art based on this. 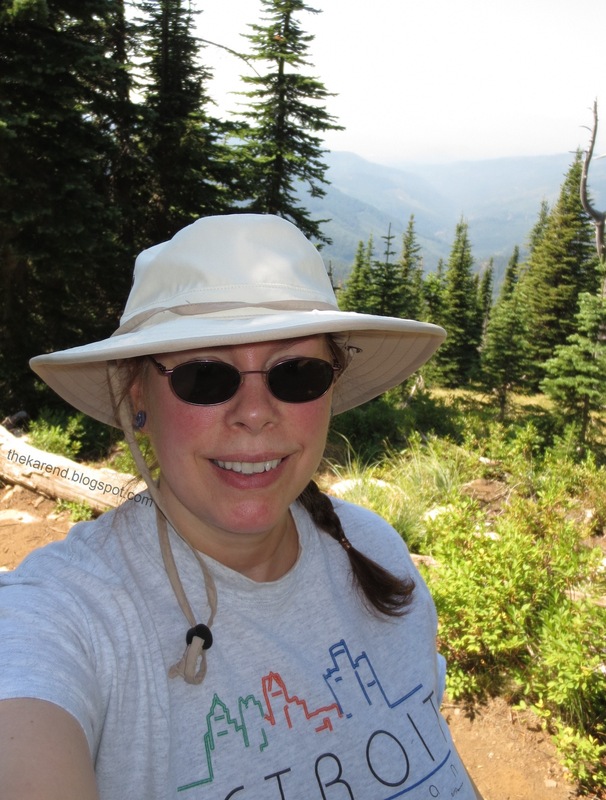 The weather was quite wonderful—not too hot and not at all humid—so I spent a fair bit of time outdoors; here I am representing in my Detroit t-shirt on one of the mountain trails. 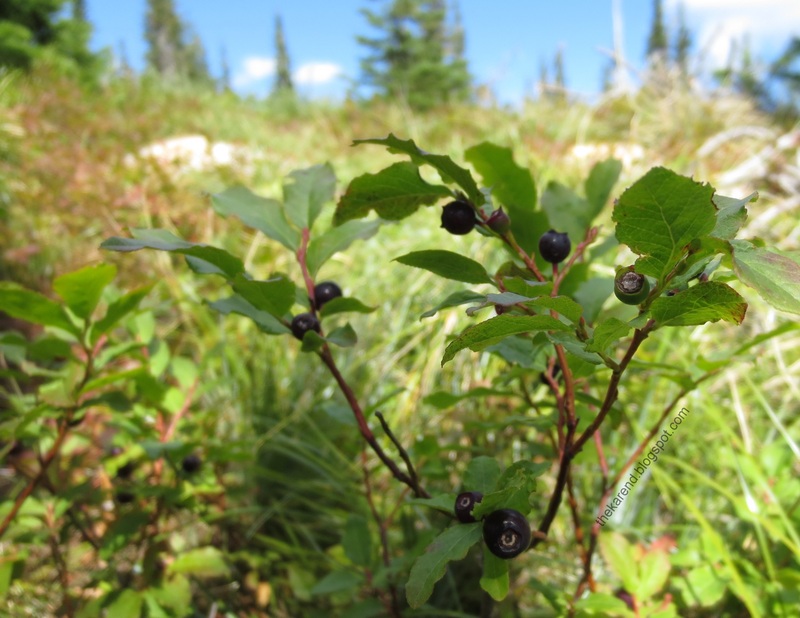 We had great luck finding huckleberries this trip; often you have to hunt for them, but this visit they were hanging right over the trail in some spots. 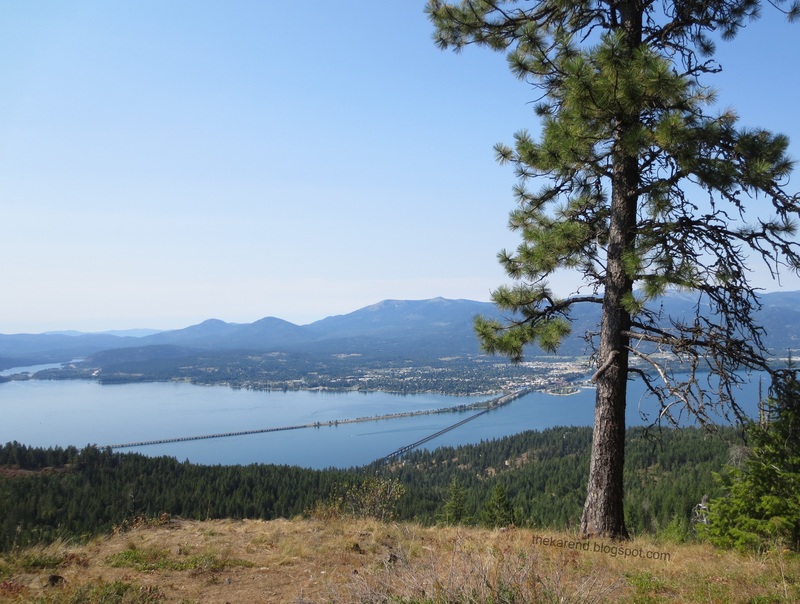 One of the new things we tried was a hike on the other side of the lake, which gave us a new perspective on the ski mountain (it's hiding behind the tree in the foreground in the shot below). I did fit in some nail stuff, too, the highlight of which was making a side trip to meet the woman behind Lilacquer. We became friends online, and it was so great to finally connect with her in person. I was wearing Sally Hansen Salon Effects in Morning Glory (yes, again; I really do like them that much), and she was wearing Revlon Royal topped with Mosaic Lacquer Be Your Own Superhero. And now, without further detours to the Inland Northwest, here are the two newest Designer Series polishes from OPI, DS Luxurious and DS Indulgence. 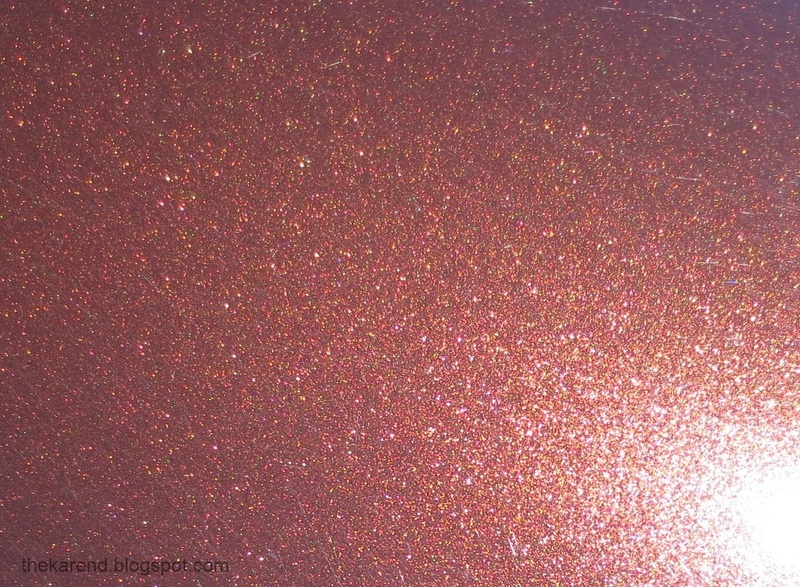 These are of the glittery, diamond dust-infused persuasion rather than the linear holos that were around when the silver capped OPIs first attracted my attention. DS Luxurious was described in the press release as "a captivating coral-red with a golden glisten". I'd call it orange. (This is why I'm not in charge of writing press releases.) 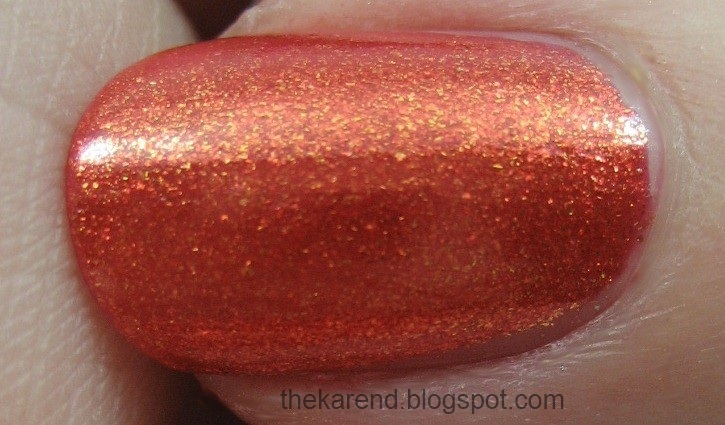 Whether coral-red or orange, it's a warm color with a lot of bling and depth, for sure. The press release and I differ on DS Indulgence, too. 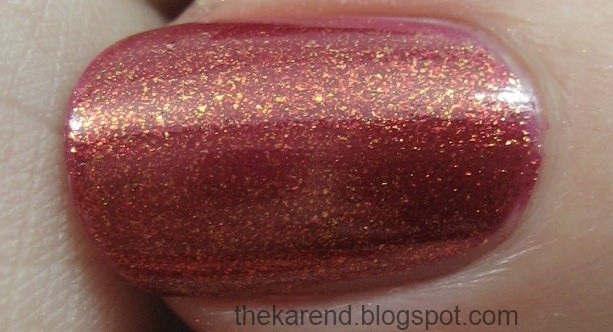 What they call "a radiant red-violet with a shimmering, golden finish", I call brick red. Regardless, the shimmer is complex and interesting. I admit I do miss the days when DS meant holo; that said, these shimmers are a step beyond what we usually see in the regular black-capped OPI line, so I can see why they're in the DS category. These particular shades are more warm-toned than I generally find flattering on my skintone, but I know there are many of you who can rock these sorts of colors. 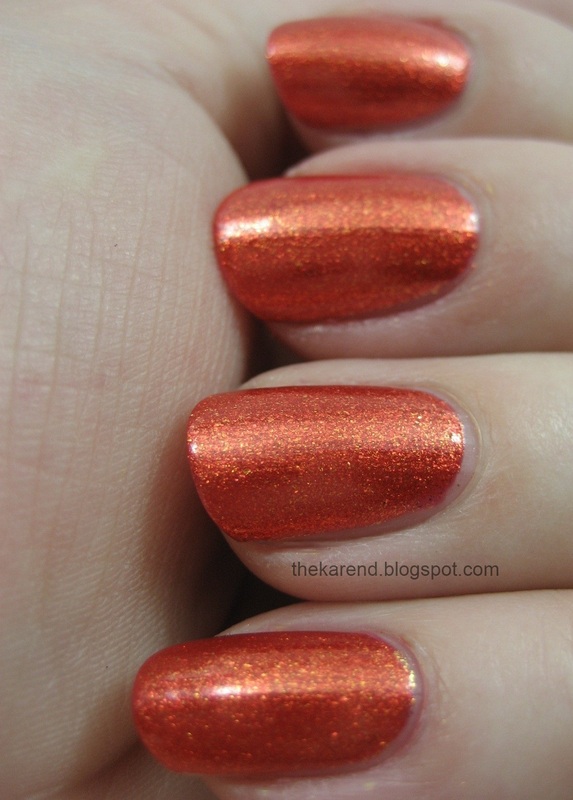 The OPI polishes shown in this entry were provided free for review purposes. The content of the entry was not dictated by the provider. I love vacation pictures Idaho looks really pretty. I havent seen these fam polishes yet but I love how glistening they are. Idaho looks gorgeous! You never, ever hear about Idaho. The most I've heard about Idaho is that it doesn't exist, haha. I think the car paint color looks kind of similar to NOPI Just Busta Mauve, well at least how it pulls on me... :D Thanks for the swatches! I like the orange but I'm not sure I'll pick it up. I do wish they were holo's. And LOL, I have in fact a few manis in the vault with flowers similar to the purple ones farthest down - it's beautiful ceramic mural!! 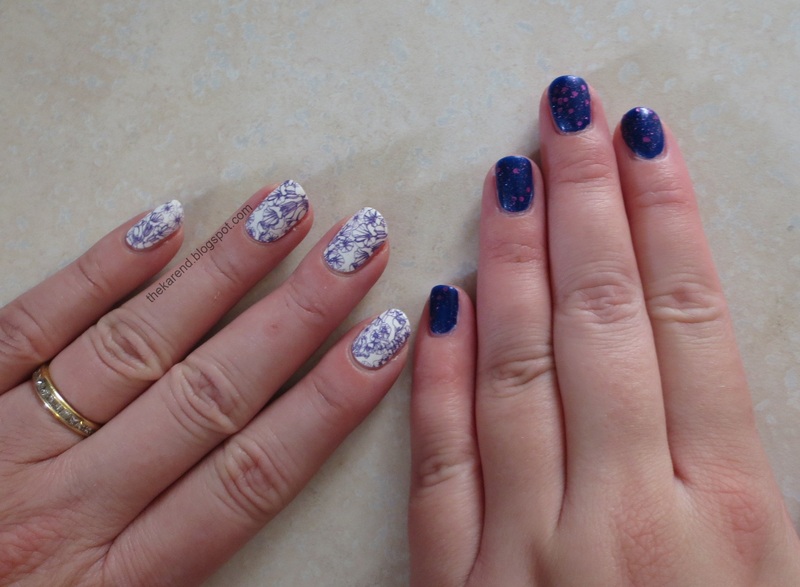 These are both really gorgeous polishes! I used to always say that about neat car colours-- that they would make great nail polishes! And yes, that one definitely would! Thanks for sharing your vacay pix...loving the mountains and water scenery! 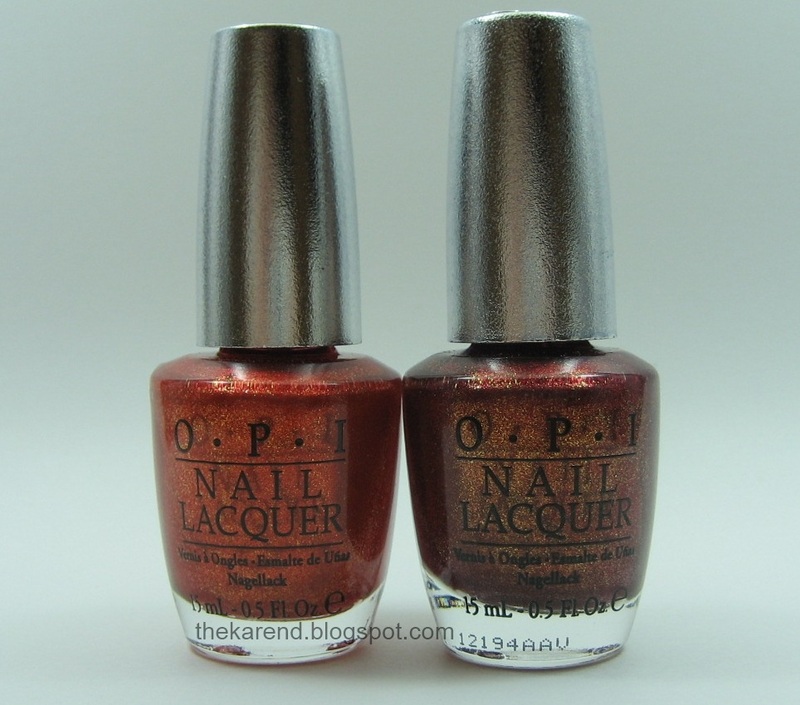 I've pretty much passed on most of the new OPI DS's...and will probably pass on these too. I Love Indulgence! Looks like you had a great time on vacation and how COOL is it that you got to meet a fellow polish lover! It looks so pretty there! I lived in Eastern Idaho for a while and it looks nothing like where you were! I love the two DS polishes! Both are gorgeous. Beautiful photos, especially the one with the lake. The DS colors look like perfect "fall" colors. They look great with your skin tone, especially Luxurious. The two DS polishes are pretty! Those are so pretty! :D Glad you had a great time in Idaho. Definitely sounds like a lot of fun in spite of the splinters. These are pretty! I only have one DS polish, but I LOVE it! So I'd definitely get more. Great photos! I go back and forth as to which of these new DS shades is my fav...one day it's the orangy one..next it's the red...both are super. So glad OPI DS did not give us a glitter again this yr...I was not at all happy to see glitter last yr in the line, despite it was a pretty shade - just don't want to see the DS line go to glitters. DS Indulgence is defo on my wishlist! super swatches! Great pictures from your trip!! Welcome back! Nice vacation photo pics! Love the orange DS polish. Do you like living near Detroit? I was just reading about the family that owns the bridge connecting Canada to Detroit.... and how the community thinks this family should/can do more to help the city of Detroit...long story, it was in Bloomberg weekly. Glad you had a good time-I am just back myself! I just bought DS Indulgence and your photos certainly look more pink than the bottle I have in my hands right now. It is truly lovely anyway.